We made this card in my stamp club in November. It was cased from a card I saw on Pinterest. 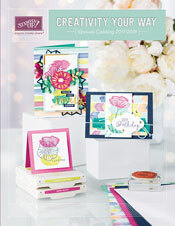 The candy cane stamp set and coordinating sizzix die is from the Holiday catalog. The holly was free hand cut. I love the Candy Canes! Are you ready for Christmas? We are getting ready to host Christmas Eve for my husband's side of the family and Christmas for my side. We're still shopping and wrapping presents. There always seem to be one more thing, right? Whew! Where is December going? My 12 year old was telling me how fast this month was going. My friend Cindy and I told him just wait until you get older. Time speeds up! December is always a busy month. I always say I'm going to finish my shopping early but I'm always left with the hard to buy for people at the end. Especially my husband. He's not very forthcoming with a list and what he has on the list is hard to buy for him. He has specific hockey equipment he wants and stuff like that. Ah well. We'll figure it out. These are the long skinny tags from the die. They make great bookmarks too! I have seen people tilt them sideways, do the decorating in the circle scallop area and the to, from on the long part of the tag. These were so much fun to make! I know it gets busy at this time of year and making tags sounds like a lot of work but this die makes it fun and easy! I even re-use some of the tags I give my kids from one Christmas to another. They are too special to just toss. I used my owl set from the Holiday mini to make a thank you card. I made the face of the owl dimensional by stamping it twice on crumb cake cardstock and trimming around the eyes and popping that part up with dimensionals. I paper pieced the belly by stamping that on Island Indigo cardstock and cutting out and piecing that part. I had to add the flag ends on the piece of designer paper because I'm all about the flags lately! We put up the tree and most of the Christmas decorations this past weekend. It is tradition for us to do it Thanksgiving weekend as I know it is for lots of people. We didn't have our daughter helping us this year for the first time. *sniff*. She was busy packing in friend time during the Thanksgiving weekend. This was her first time seeing her high school friends since leaving for college. The boys helped my husband assemble the tree. It's quite a process. They like to wear Santa hats as they work but they had to add their own special touches. Doug just kept working on the tree. I still have the railing to decorate and the basement. I have a lot of Christmas decorations so it takes awhile! I hope you had a wonderful Thanksgiving with family and friends! Thanks for stopping by! This is a CASE of a card by Mary Fish. I didn't change much of anything because you really can't improve on a design by Mary. A greeting and a small embellishment change is about it. What I love about this card is the combination of designer paper, stamp set, sizzix dies, punches, and paper piercing. This is Stampin' Up! 's product coordination at it's finest! We made this in my card club in November. It comes together pretty quickly. I'm baking up some delicious breakfast treat this morning for my son and his friend who slept over. I got the recipe off of Pinterest. I'm not saying it's healthy but it's better than running off and getting donuts. I can control the ingredients like organic flour, sugar, and eggs. I'm driving my son crazy because I won't tell him what I'm making. Wait until he starts smelling it! Curious about what I'm baking? It's called elephant ear bread. Doesn't it look yummy? It's like a twist on monkey bread but you make the dough yourself instead of using biscuits. This makes it a little healthier that way. Do you want the recipe? Here is the link to the recipe on pinterest. I'm throwing a little Christmas at ya! It's coming folks. One trend that's hot and has been for awhile are the flags. You see short strips, long strips, fat strips, thin strips - the one thing they have in common is the little flag at the end. There are several easy ways to get those. On this card I used my square punch to punch out the flag shape on the end. I love the extra pizazz these ends give a card. Much better than just a plain strip of paper! I did some fun little touches with the ornaments on the focal point. The ornament on the right is popped up with dimensionals and is paper pierced around it. That is achieved with my template from the Holiday catalog. The center one is popped up with a contrast circle in the middle. The one on the left is popped up with some bling down the middle. Many ways to dress up your ornaments from this set! I got reprimanded by the clerk at Target for buying candy canes already. Hey, when you are a crafter you have to plan ahead! I know you all understand. I have a fun project that I want to try with them. You can bet it will show up here if it is success. We made this card in my stamp club this month. It is a CASE from a card I saw on Pinterest. I made a few tweaks here and there. The button is from the Brushed Bronze button pack from the Holiday catalog. The buttons are all this size and they look heavy but are really light weight. Perfect for cards! The coordinations cardstock and the woodgrain embossing folder goes just right with the French Foliage stamp set, don't you think?! The little tag with the Thanks on it is created by stamping the greeting from the Lovely Little Labels stamp set. This set is a steal at $10.95 for clear mount and $13.95 for wood mount! There is a coordinating punch pack of 3 little punches for $16.95. So cute and fun! You could easily swap the sentiment out on this and make a nice masculine birthday card or other occasion. I don't know about you but I'm glad the elections are over. The commercials were becoming unbearable. Now it's time to look ahead the upcoming holidays. Thanksgiving will be here before we know it! I combined my favorite stamp set, Perfectly Preserved with the Scentsational stamp set and the coordinating framelits for the Big Shot to cut them out. So fun! The designer paper is the Candlelight Christmas designer paper and the embossing folder is from the mini too. It's called Lacy Brocade. My daughter is home from college this weekend so I have all my chicks under the same roof. It makes a mommy happy! I'm making dinner for everyone tonight including her boyfriend. He's Link from Zelda! I have been telling him for a couple of years that he would make a great Link. He took it and ran with it this year. He did some research online on how to make the costume and we pooled together our creativity to come up with this. We purchased a men's V-neck shirt as a pattern for the tunic. We bought some green felt to make the tunic and the hat. The hat is basically shaped like a Santa hat. We bought some brown dress shoes, brown gloves and brown tights at the thrift store. We had the brown felt parts from another costume on his legs to make the shoes look like boots. We bought some girls white tights at Target. He is embarassed about that part but it's for a good cause! We sewed some of the brown tights to the brown gloves and he cut the fingers off of the gloves. Link wears long brown gloves with cut off fingers so that worked. We scrounged up a brown belt and another belt to hold his sword from the dress up box. He bought the sword himself online. He got it for like $20. He is totally thrilled with his costume! He says it's the best costume ever! What more could a mom want to hear? Next up is a card we made at my last stamp club. It is a spider in jar. I couldn't resist using the jar once again. The middle zigzag piece is from the Tasteful Trim bigshot die. Kelly's snowflake and Clearance Rack deals! Isn't it gorgeous?! She used mostly products from the Holiday Catalog including the snowflake die, the embossing folder, and it looks like some glitter jazzing it up. This is her first time entering a Stampin' Up! contest too. She's a talented lady! 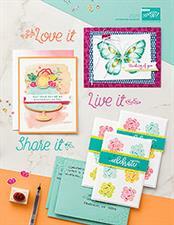 I also want to let you know that Stampin' Up! has added over 70 new items to the online Clearance Rack. Check out the bargains on my Stampin' Up! website here. Click on the Shop Now button on the upper right hand part of the website. Then click on Clearance Rack to see all of the great deals!